Who says boots are just for winter? The Timberland 6” Premium Boot is the perfect shoe for the transition into Spring. Lose the jeans and scarfs, and wear the boot with a girly dress and detailed socks for the perfect Spring look. Made with waterproof leather, the boots are perfect for wet, Spring days. 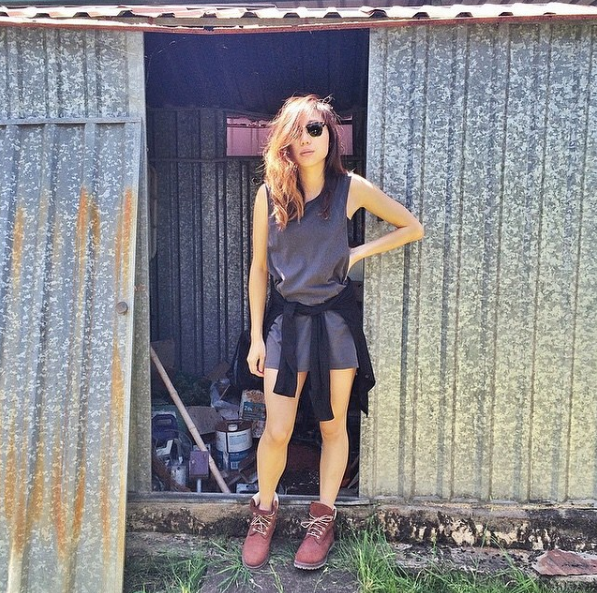 With Timberlands you do not have to sacrifice style for functionality. Make the Timbs stand out with a pair of skinny jeans and a plain top like Laura Dundovic or add a leather jacket on the cooler dayslike Pia Muehlen and Pepa Mack. The Timberland Icons come in a variety of colours and are available for purchase online or in store.